Are you still struggling with trying to handle large amounts of post on your own? Relieve that stress and outsource digital mailroom services, you won’t be disappointed. Digital Mailroom is exactly that; a mailroom hosted digitally. Rather than battling through paper and envelopes and trying to separate the junk mail, you can let someone else do it for you. Digital post will arrive into your email inbox everyday, scanned and indexed. It’s as simple as that. What If I Can’t Afford a Digital Mailroom? This is a common question but thankfully we have good news. The costs of digital mailroom services have considerably decreased recently meaning the benefits are open to a wider range of companies. Even if you are on a tighter budget, we feel that investing in digital mailrooms is almost an office essential especially with all of the benefits it can bring your company. What Can I Gain from a Virtual Mailroom? Efficiency-By receiving your mail digitally and fully indexed to your email inbox every day, you can view, edit and share it in an instant, getting more important work done in the process. Cost Savings– You will no longer need to hire extra staff to deal with your incoming post and you will also save costs on document storage of hard copy mail. Space Savings– You won’t need a dedicated room for sorting mail or somewhere to store filing cabinets full of the documents. No Worries– Whether it’s invoices, cheques payable or just plain junk mail, you don’t have to worry about it. 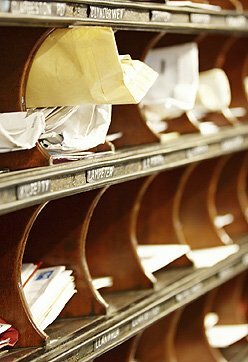 Your incoming mail will be sorted, scanned, indexed and in your inbox without you having to lift a finger. We often get asked about the security of digital documents, and more so since the recent hacking news, but handling digital documents can actually provide them with better safety and security, if done correctly. 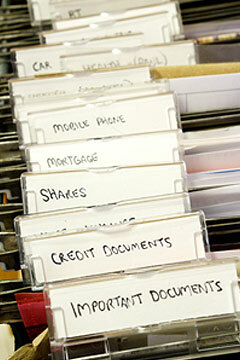 Storing paper copy files leaves your important information susceptible to loss, theft and damage but holding them digitally instead can prevent this. Sophisticated file encryption and password protection can secure your document so they can’t be accessed by anyone who doesn’t have permission and backing up digital files onto cloud platforms can prevent the loss or damage of important data. If you have any further worries about electronic document safety and security or legal admissibility of scanned documents, get in touch and we will be happy to put your mind at rest. Here at Pearl Scan, we provide an excellent and affordable digital mailroom service for companies wanting to declutter their mailroom and receive their post more efficiently saving time, money and space. The only way to prove the value of our digital mailroom services is to try it out yourself. For a free, no obligation quote get in touch today and speak to a member of our friendly and approachable team. If you would like some more information on the scanning services we offer, take a look at our website or browse some of our interesting blog articles.